Heat oil in kadai, add cumin seeds, hing, and pumpkin and mix well. Add turmeric powder, red chilly powder, salt, and mix well. Sprinkle 2 to 3 tablespoons oil and cover kadai with lid. Cook till pumpkin soft well. Stir occasionally. Add amchur powder, roasted crushed peanuts and mix well. Just cook for 30 seconds. 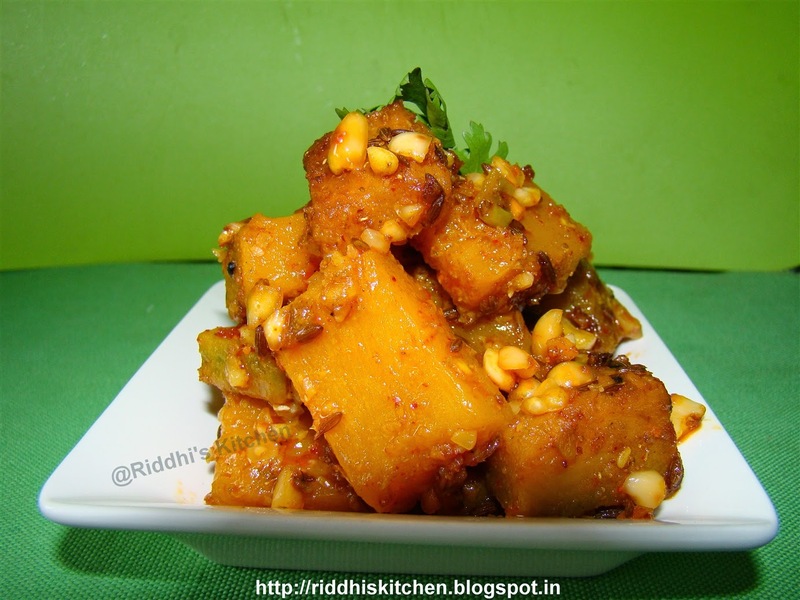 Garnish with coriander and serve hot with roti.